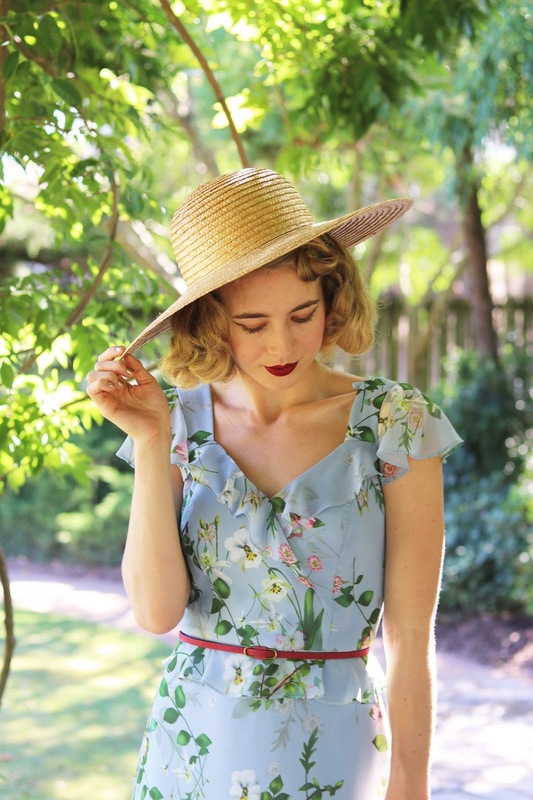 I'm featuring another gorgeous dress by Review Australia today, I did take this dress to Melbourne but I over packed and didn't get a chance to wear it. So I made sure to wear it when I got back home and just look how gorgeous it is! 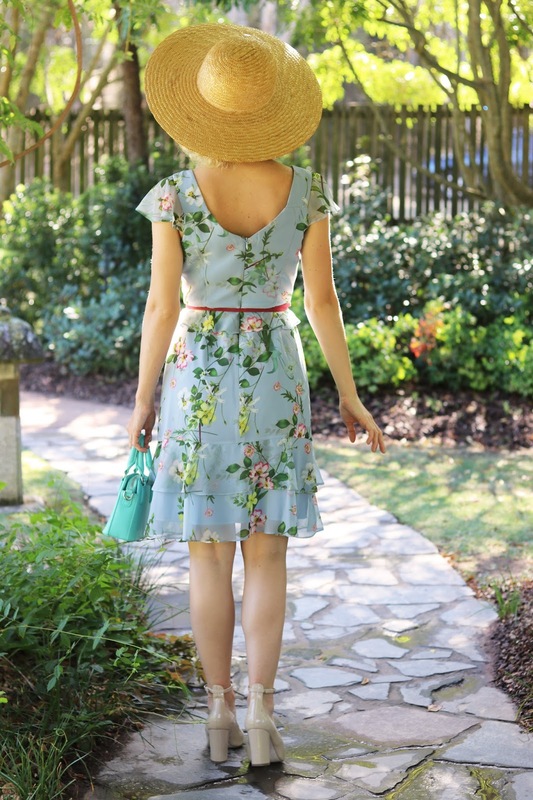 It was beautiful to wear to the gardens and shops, it was pretty hot this particular morning and I wasn't struggling in the heat at all as I was wearing it. 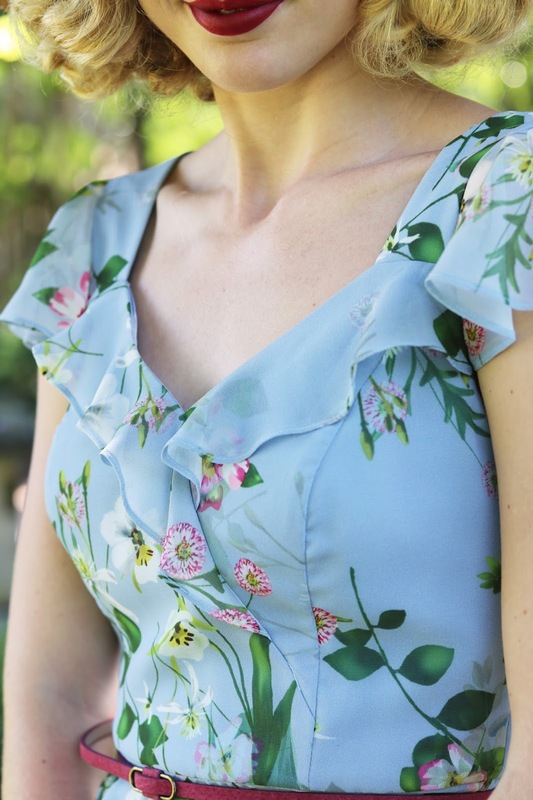 The style of this dress is elegant and simplistic, the floral print with the blue is really pretty and I think it's quite a subtle floral print. The yellow flowers amongst the blue is a perfect colour combination in my opinion too. The ruffles on this dress are dainty and light, I love when the wind hits them... Floaty cap sleeves are always a favourite for me too. I decided to break up the blue with a skinny pink belt and I like that it draws more attention to the ruffle detail on the waist. I'm wearing size 8, I have a bit of extra room in this dress and could also wear the 6 too but decided to hold onto this size as I don't mind a bit of extra room. This silhouette is a little different to anything else I own which is another reason I wanted to try it and I really like it. 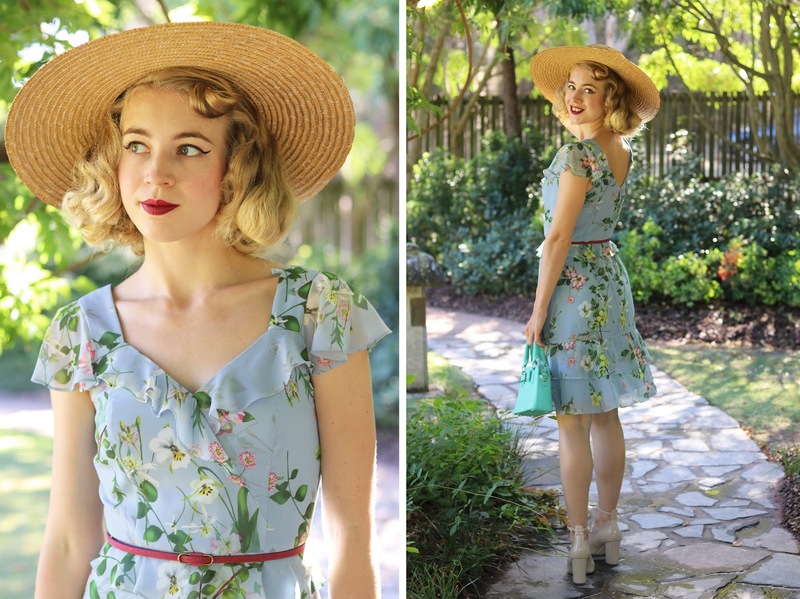 I promise that I will have one of my sewing projects on the blog soon, I edited some photos of a dress I made recently and started the post yesterday. I have been making sure to give myself time to sew each week and have been sticking to it. It makes me happy and I find it relaxing, it has been so nice to enjoy my new sewing machine and overlocker too. Beautiful post. 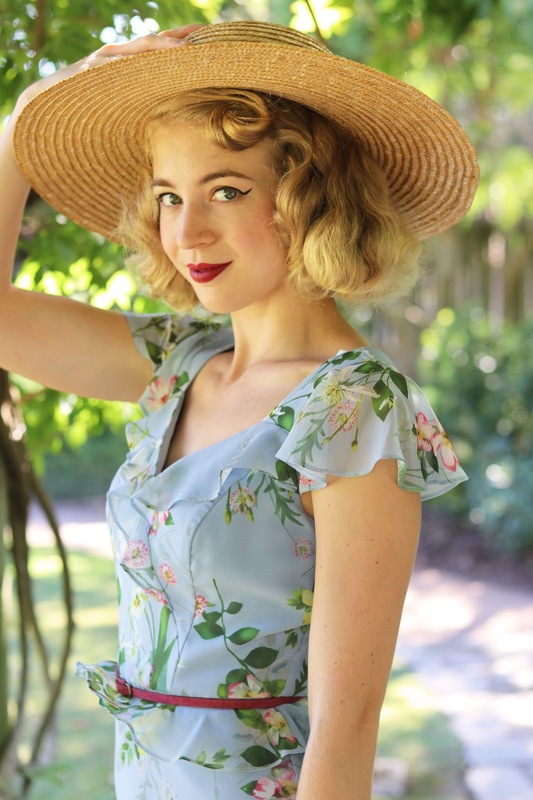 here are some awesome dress collection for summer days. I really liked it. This blog is really fantastic. I think it's useful for many those who are looking for such info, keep it up.! Any way Here I am also describes with you an important thing. If you are a marketer or you would like to be that its very helpful resource for you, I have a marketing community blog Port Comm Here we suggest the best marketing tools and perfect strategy for your any kind of marketing solution. I hope this blog will be very helpful for you. Thanks.